Your next smartphone is going to be a lot faster in 2019 thanks to the launch of the world’s first 5G-ready mobile devices. Fast, broadband-equivalent 5G download speeds are coming to phones from 19 companies, including familiar names like LG, Sony, ZTE and HTC. All of these phone makers have signed on to use the Qualcomm Snapdragon X50 5G NR modem, making way for multi-gigabit per second downloads and lower latency. 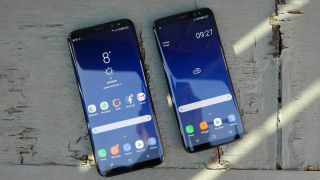 That means the upcoming Samsung Galaxy S9, Note 9 and LG G7 may be the very last 4G-capped phones you upgrade to before 5G-ready phones launch. What else is 5G all about? Qualcomm is championing 5G not just for its fast speeds, but for connectivity. It wants to do away with you having to connect to public Wi-Fi, for example. In addition to faster browsing, you also should get better video call quality, UHD and 360-degree video streaming, and instant connectivity to the cloud. Beyond mobile devices, the 5G-ready Snapdragon X50 is supposed to further the idea of always-on PCs. Conveniently, Qualcomm recently partnered with Windows 10 laptop makers for the HP Envy x2 and Asus NovaGo. The chip company is also keen on a 5G future with VR, AR and XR (extended reality). Considering many flagship smartphones use Qualcomm modems, especially in the US, we may see 5G speeds from almost all of next year’s best phones. This means it’ll likely be in device that only exist in theory: the LG G8 and HTC U13 are good guesses. And while Samsung and Google aren’t part of today’s announcement, we’ll likely to the Samsung Galaxy S10 and Google Pixel 4 launch as 5G-ready phones, too. Of course, just because the first 5G-ready devices are slated to become available in 2019, it doesn’t mean you’ll instantly get multi-gigabit speeds. Qualcomm also announced that it’s working with major carriers (Verizon, AT&T, T-Mobile and Vodafone to name a few) on 5G speed tests right now. But some carriers won’t be ready to launch their 5G operations until closer to 2020. In other words, we’ll all get to fast speeds slowly but surely.